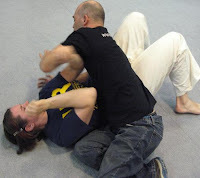 DISRUPT is the violent and most physical step of self-defense. Its sole purpose is to create the opportunity to escape. It begins with the trigger to act and involves the concept of attacking the attacker to surprise, shock, or cause injury to your attacker. Escape in order to disengage.